BENI: Ten people have died in an outbreak of Ebola in eastern Democratic Republic of Congo, according to a toll issued Friday that said 27 other deaths were suspected to be Ebola-related. Two suspected cases in Goma, a city of about a million people, “turned out to be negative” on Thursday after lab tests, it said. 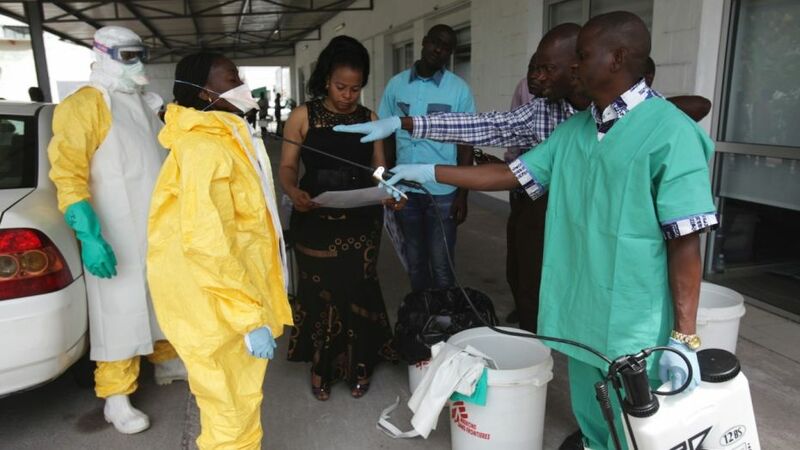 The outbreak is the country’s 10th since 1976, when the disease was first identified in the DRC near the Ebola River, a tributary of the Congo. The latest outbreak is centered in North Kivu’s Beni region, which shares borders with Uganda and Rwanda. The area is plagued by violence — a problem that the World Health Organization (WHO) has said will hamper the emergency response. Targeted vaccination, aiming primarily at front-line health workers, began on Wednesday. The outbreak in North Kivu was declared a week after WHO and the Kinshasa government hailed the end of a flareup in northwestern Equateur province which killed 33 people.